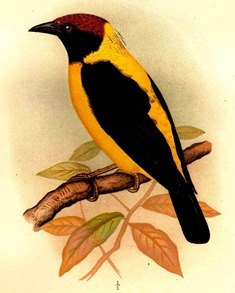 Several insectivorous weavers probe and search the bark crevices of trunks and branches of forest trees for concealed insects, insect eggs, and larvae such as caterpillars, and arthropods. 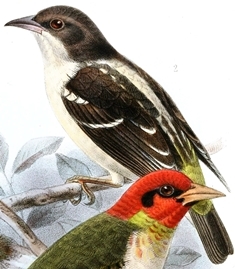 The weavers generally crawl upwards on trunks. 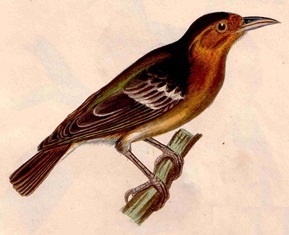 This foraging behaviour resembles that of the nuthatches (family Sittidae). 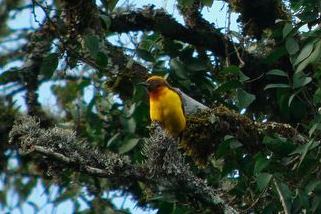 The weavers are not similar in appearance, only in their feeding habits. 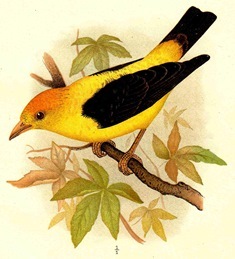 The Yellow-capped Weaver was initially considered to be a nuthatch weaver, but observations show that it feeds in forest foliage. 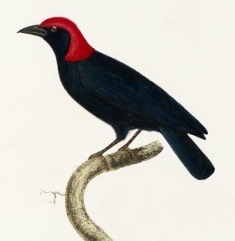 Several malimbes also feed on branches, but usually glean leaves, and only the Red-headed Malimbe climbs up tree trunks. Forest loving weavers that glean from leaves are not included in this grouping.